Moycullen U18 girls made the trip to the Upper Glanmire Hall on Sunday and came away with a deserved victory on a 67-43 scoreline. The girls had already beaten Glanmire in the early National Cup group stage and after good wins against Dunshaughlin & Killester, the two came face to face again for a place in the National Shield final in Kilkenny on the Top 4 weekend in two weeks time. The Cork girls started well and Moycullen found the early minutes tough, finishing the first quarter 4 points in arrears 9-13. The girls picked up the pace in the second ending the half in the lead 24-21. The third was equally tight but the girls managed to extend the lead to 5 on a 42-37 scoreline. 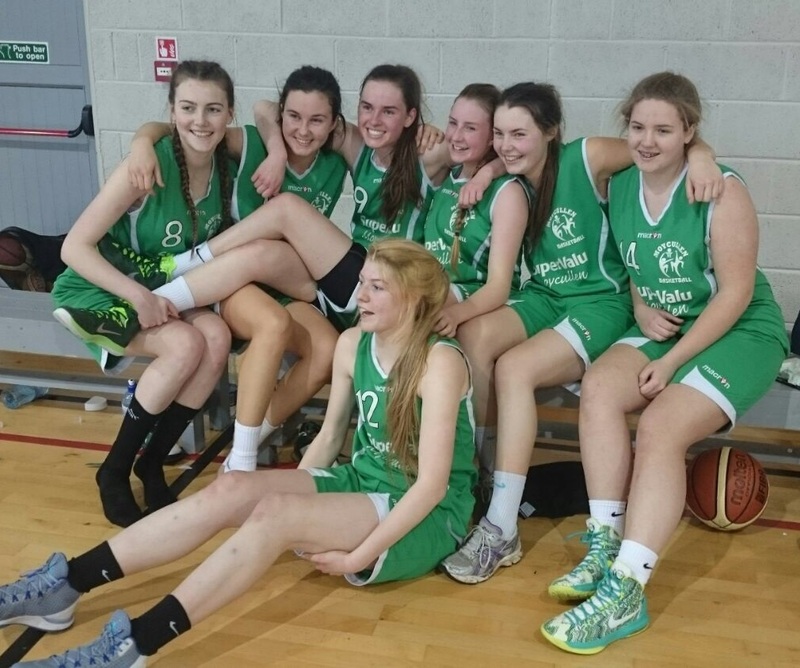 The final quarter was all Moycullen as they racked up 25 points winning on a 67-43 scoreline. all smiles after a good win!